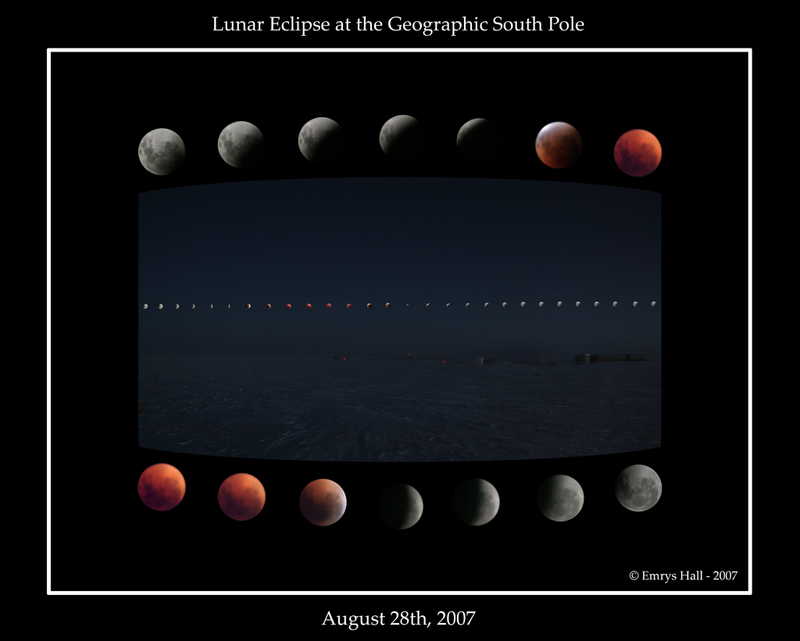 Another once-in-a-lifetime occasion happened tonight: a total lunar eclipse as viewed from the South Pole. 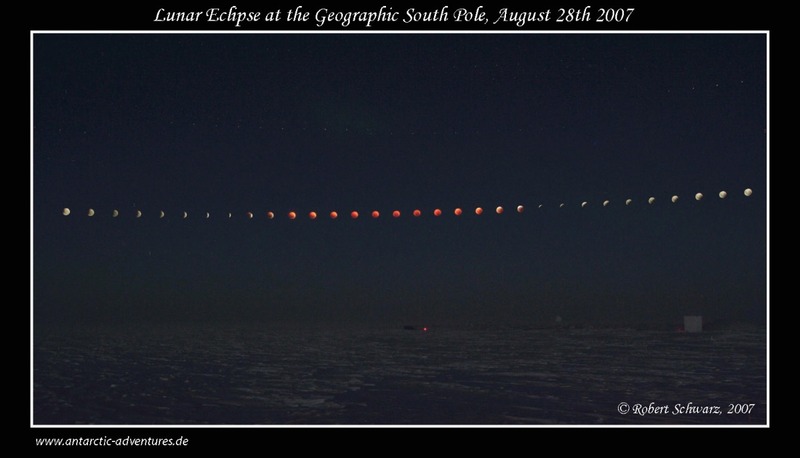 We knew it was coming since Robert had mentioned it during his Astronomy class at the beginning of winter. He had also sent out a couple of emails in the days approaching, explaining what was going to take place and giving the time-line. 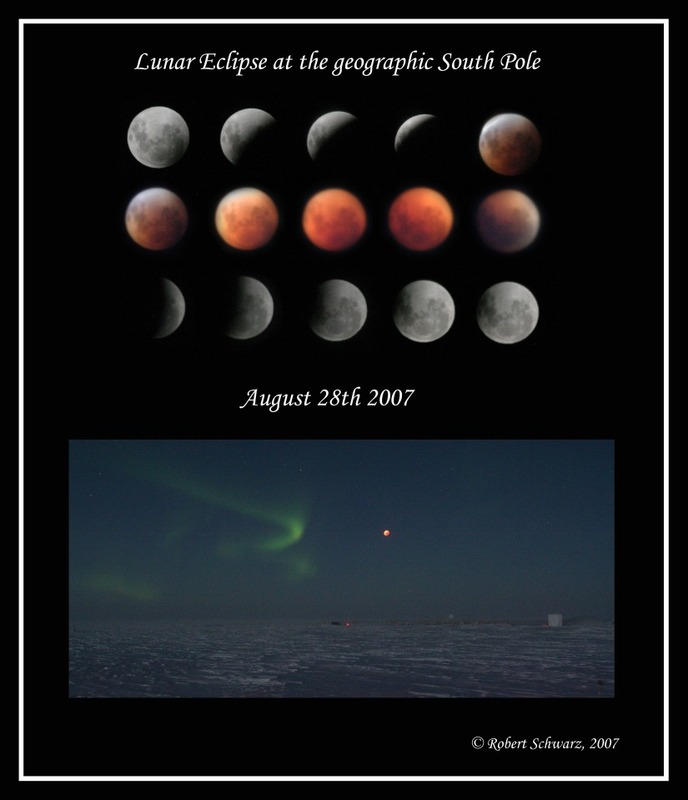 For more pictures see the gallery: Lunar Eclipse.